cheezepie | Nintendo 3DS – who’s getting one? 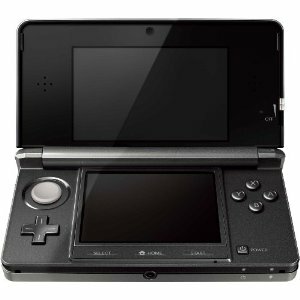 Nintendo 3DS – who’s getting one? There’s just a week to go now before you can get your hands on Nintendo’s latest mobile gaming device, the highly advertised and anticipated Nintendo 3DS. It’s special screen allows you to play games in 3D without the need for 3D glasses, and even lets you control the level of 3D-ness so you can turn it up or down to stop your eyes from bleeding getting tired. I’ve not played my DS since I got my first iPhone 3 years or so ago. The games aren’t always as good on the iPhone (though some are getting there) but the simple fact that I have it with me all the time means it’s my go to device for mobile gaming. In fact, I have been meaning to put my DS on eBay with the 15+ games that I’ve got for it as I hardly ever pick it up any more. So, I’m not sure I’m all that fussed about this new gaming device. I don’t think 3D is enough to tempt me back to the platform either. However, pre-orders on Amazon would suggest there are many out there who are fussed. Apparently the Nintendo 3DS has become the most pre-ordered console of all time on Amazon.co.uk. Overtaking the Playstation 3 by 20% more orders, and beating Nintendo’s previously most pre-ordered console the Wii by over 56%. Those are some impressive numbers. So, anyone here getting one? If yes, is it the 3D that’s captured your interest? If no, any particular reason?